The homegrown carmaker Tata Motors recently launched their Sports Utility Vehicle, SUV in Nepal at a starting price of 37.85 Lakh Nepali Rupess, which converts to INR 23.70 Lakh. The Safari Storme is now available in Nepal in three variants and six different colors. 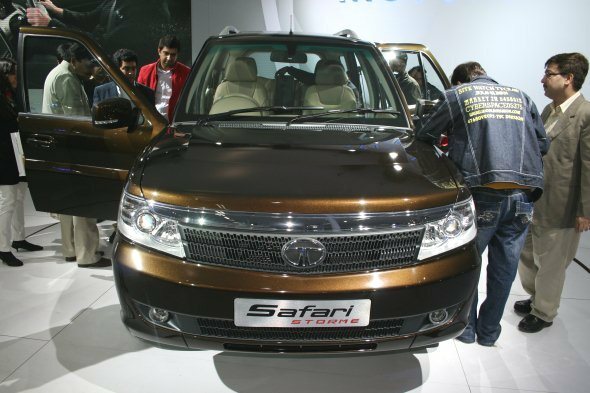 "We now introduce the Tata Safari Storme to our customers in Nepal. We are sure that customers will be delighted with the look and off road capability of the real SUV, the Safari Storme," Tata Motors Country Manager, Nepal and Bhutan, Passenger Vehicles Business Unit Gurinder Singh said. As of now, Tata Motors has a dealership network of 12 dealers in Nepal.